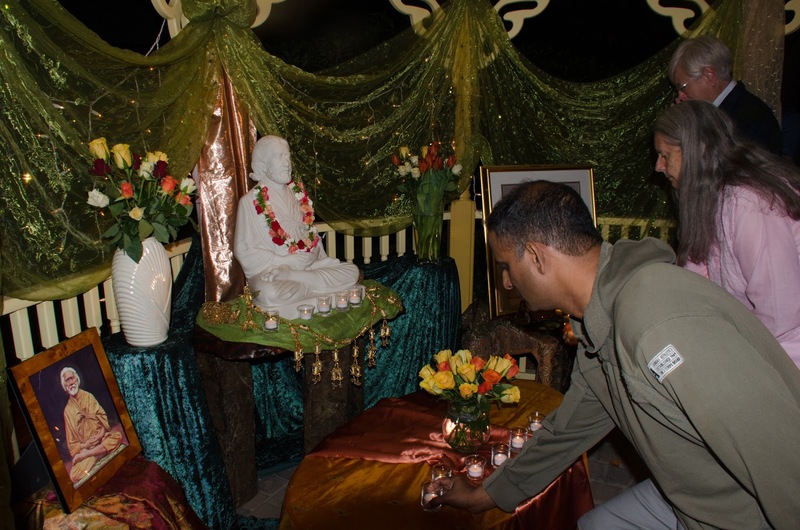 One person traveled from as far away as Seattle, and others came from Ananda Village for this sacred evening. 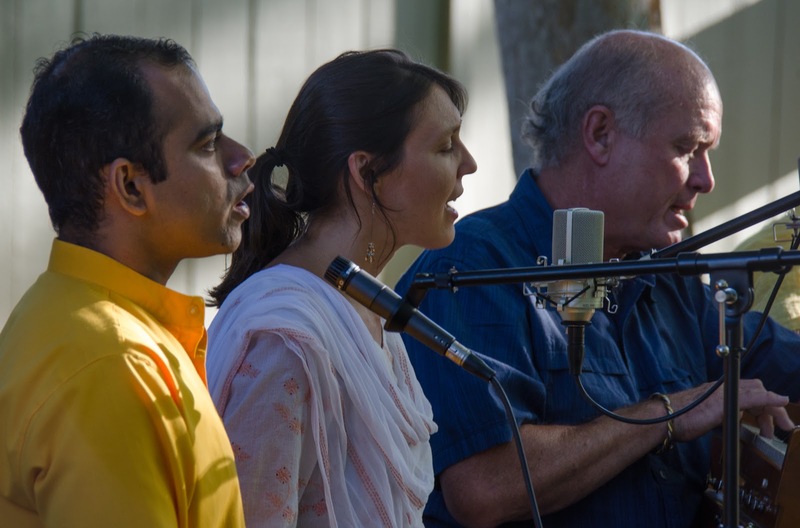 The rest of us were fortunate enough to roll in from around the Bay Area, for what is widely felt to be one of the most unusual and sacred evenings of the year. It feels like a mini pilgrimage to India, with the added pleasure of clean air. A few passing trains and various other bits of noise evoked India as well, but gradually gave way to quiet. 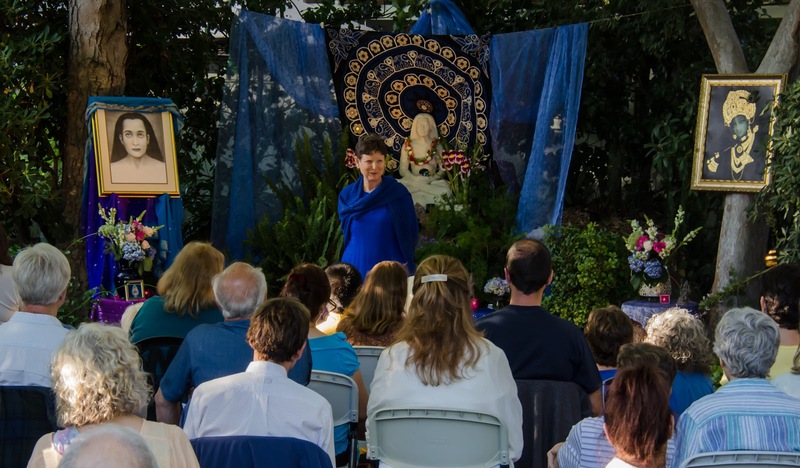 The community courtyard had gradually transformed over several days into exquisitely decorated shrines to the Masters, and Asha brought each Master’s life to a special focus, in story and exploration of each one's message to us today. (Look for Asha’s talks to be posted here soon.) Strength in the face of challenge; kindness in the face of hatred. Easy messages to hear; hard to practice. Ever inspiring to renew, especially against the backdrop of conflicts elsewhere today. We tried a new experiment this year, keeping all the musicians in one place, so there could be virtually no disturbance to the evening (of extra movement, cables, technology). It deepened the inwardness of the event. All of the beautiful photos are posted here.